We offer a vast range of beauty treatments from everyday basics such as eyebrow shaping, lash tinting to advanced anti aging treatments and relaxing spa treatments. We aim to meet high standards weather you are in for a 15 minute treatment or half a day spa experience. You can trust in our experience, you are in good hands. Semi permanent eyelash extensions Every single woman would love to have luscious long eyelashes that enhance the beauty of their eyes. We were one of the first salons in the UK to offer semi permanent eyelash extensions we are trained in advanced lash techniques so you can be assured of excellent results. Transform your looks in less than 2 hours with Angel Eyes Lash Extentions. Angel Eyes is a high end eyelash extention brand producing natural, high quality results. *No need for mascara *feel beautiful always even first thing in the morning *long lasting, not effected by sleeping, showering, sports or swimming * choose an individual look to suit you. Last up to 2 months. Or choose to keep your stunning lashes for always with regular top ups. Non Surgical Face Lift - As featured on "Oprah" and Channel 4's, "10 Years Younger"
We are a salon of excellence in the Bio therapeutic non surgical face lift, having carried out advanced training. The Bio Ultimate machine uses microcurrent and Suzuki sequencing technologies to target expression lines, bags and dark circles around the eyes, lines and wrinkles on face and neck. Previously used for sports injuries, microcurrent ups the production of collagen to help heal the skin at a cellular level, improves lymphatic drainage, re-educates, and lifts and tones the muscles for more chiseled facial contours. A difference is noticeable after just one treatment and skin firming will continue to improve during the next 24 hours. Our Bio Ultimate machine uses micro current technology to lift and firm the muscles in your face and neck. Giving you more youthful and chiseled facial contours and plumping of the skin. This treatment increases collagen and elastin production in the deeper levels of the skin targeting, expression lines, bags, dark circles around the eyes, fine lines and deeper wrinkles. This amazing technology was previously used in the medical profession to correct the loss of muscle tone. And also for sports professionals, to speed up the healing process on damaged muscle. 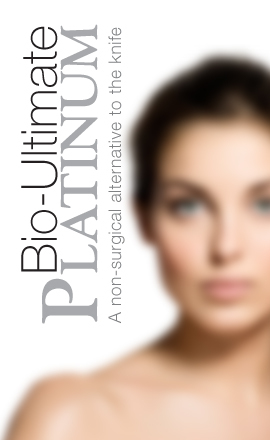 Now this fantastic treatment is available to the beauty industry, enabling us to treat you. This treatment gives the most superior results possible, without resorting to surgery. Results that cannot be achieved with traditional facials, or skincare products. Using natural volcanic basalts stones to sooth away aches and pains in stressed muscles. This highly effective and relaxing treatment is an experience not to be missed! 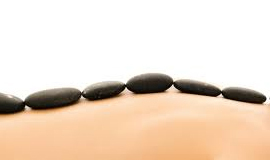 The therapist will massage you using Hot Stones, giving a very deep massage to melt away built up Knots and Tension. The heat and pressure from the stones make this a very effective treatment, one massage stroke with the stone is the equivalent to ten massage strokes by hand. This relaxing spa treatment is an experience not to be missed. 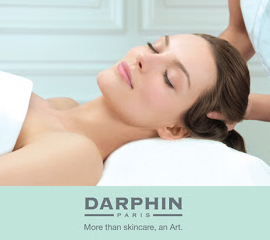 Approved Darphin salon, discover this luxury spa brand only available in high quality salons and top department stores such as Harrods. Darphin cosmetics has chosen the haute couture approach, through its carefully chosen balance of botanical actives and pure essential oils. These high performance beauty formulas will give you truly amazing results. To provide individualized skin care Darphin skin care addresses both �skin type� and �skin condition� which change with age, weather, nutrition, stress and lifestyle chooses. Three daily formulas a serum an aromatic care and a cream are custom selected to address the total dimensions of your skins needs. This is resurfacing of the skin and tackles fine lines and wrinkles, pigmentation acne scaring and blemishes. Leaves the skin glowing, smooth and refined. Have you ever wanted smooth, perfect skin? The answer is crystal Clear. 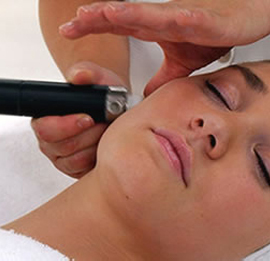 Using a gentle yet deep exfoliation teqnique called microdermabrasion this treatment resurfaces your skin on the face and neck. Using tiny crystals directed onto the skin using our high tech equipment the outer layers of the skin are removed, while increasing new collagen and elastin formation to visibly rejuvenate and firm the skin of the face and neck. Leaving the skin glowing, smooth and refined. This treatment tackles, fine lines, wrinkles, sun damage, pigmentation, open pores, acne scarring and blemishes.You will see a result immediately after one treatment. 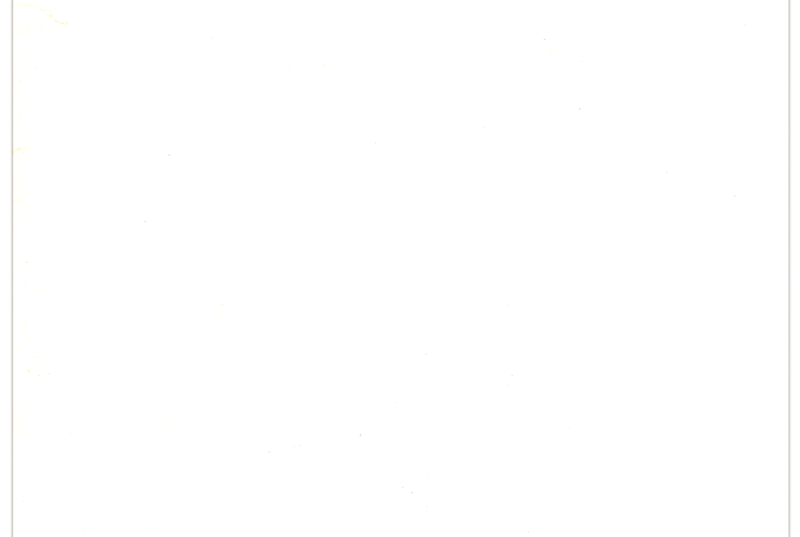 However a course of treatments is recommended to achieve maximum effects. A range of nail enhancing treatment which includes French tip extensions, blended tip extensions or our most popular natural nail overlay. Choose from our range of beautiful colours, for immaculate nails that last for weeks. The iconic spray tan available to you. Applied by therapists trained in the St. Tropez spray method to ensure a seamless perfect tan.